One of the greatest witnessing tools we have available to us is the testimony of a changed life. We can look at many examples in the Bible of people who came to Christ, were saved and walked away changed. That same thing is happening today. You have the ability to share your story of a changed life. When sharing your Christian testimony through written word you want to remember that while this is a blessing to those who are saved, it can be used by God to reach the unsaved. Always write with the thought in mind that unsaved people will be reading your testimony. Even if you will be sharing your testimony verbally in front of a group, it is helpful to write it down so that you can say exactly what you plan to say. It does not need to be memorized, but you should have a plan of what you want to share before you stand up to speak. Writing your testimony beforehand will be a big help in keeping you on track. Take time to talk with the Lord about writing out or speaking your testimony. Each opportunity is a witnessing tool that God can use to touch a life. Allow Him to guide your words. Tell your readers or listeners what brought you to the realization of your need of a Savior. You don’t need to give a laundry list of your sins, but you should tell how you were brought to conviction. The Bible tells us that God’s law is what brings us to a knowledge of our need of salvation (Galatians 3:24). Sharing with the audience what God says about sin is an important element of your Christian testimony. You can do this by sharing various parts of the Ten Commandments and how they were convicting to you personally. Your audience needs to know that the reason they should consider Jesus Christ is not because He can make them happy, but because they are sinners and He can forgive them. When you are done with your testimony everyone should know that Jesus is the answer to their problem of sin. Your salvation is not what you were able to accomplish on your own, but it was purchased by Jesus on the cross (Titus 3:5-7). Focus your testimony on pointing people to Jesus. Writing your testimony beforehand will be a big help in keeping you on track. Be careful about using words that unsaved audience members won’t know. The longer you are saved, and the more time you spend in church, the harder it is to remember that people outside the church don’t understand all of our vocabulary. Also remember that other religious groups use the same words we do in Christian churches, but have a different meaning to their vocabulary. The more you can give your testimony using common words, the clearer your communication will be. Try to give the important elements of your testimony clearly and succinctly. If you have time or space you can give more information that will help illustrate your points. But don’t waste precious time telling stories that won’t help people know about how the Lord drew you to Himself. Share your testimony in an honest way. There is no reason to sensationalize or lie about the events in your life. Just because other people may have been saved out of a horrible background and you haven’t, doesn’t mean you are any less saved. There will be people in the audience who can relate to your real story, even if it sounds boring compared to someone else’s testimony. When you are honest God can use your words to reach others. Give your readers and listeners specific examples of how God worked in your life. Again, you don’t need to share the details of your sin. However, the more examples of real events you can give, the more the audience will relate. Those who are not saved will see more credibility in your testimony if you tell the real ways God has changed you. What is God doing in your life today? It is great to hear what He did last year (or 30 years ago) in saving you, but your audience will want to know that God is still at work in your life today. If you are told you have 3 minutes to give your testimony, then you need to stay within that time limit. This shows respect to your hearers and those speaking after you. If the listeners know you only have 3 minutes and you speak for 7 then it can be seen as boastful on your part. Make sure you honor God the one who saved you when you share your testimony with others. 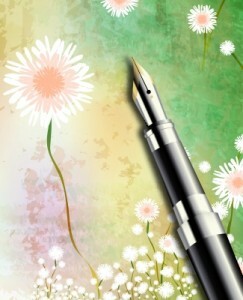 The beauty of writing your testimony is that you can say exactly what you want to say in the space limitation you have. You can edit out the unnecessary information. Writing your Christian testimony is a wonderful way to share the miracle of a changed life with an unbeliever. I hope these tips are helpful. Get started today in preparing your testimony so that you can share it with others. Why Your Testimony is Important? Events and testimonies in the Bible are examples for us today. The Bible says in the New Testament that the things written in the Old Testament are there to serve as examples and encouragement for us today (1 Corinthians 10:11). Your testimony can be the exact same thing for others who will read it in the future. Do you have something you think is important that should be mentioned to other readers concerning sharing their testimony? Leave a comment and let us know. What is a Life Verse? Christians talk about life verses. Read this article to find out what this is and to get some great examples so you can choose your own. Heaven Facts As you share the good news of Jesus in your testimony you might want to know some facts about Heaven. Read this encouraging article to learn about the real place that God lives and the place that believers call their home too. What will Heaven be Like As you prepare your testimony read this article to remind yourself of the great hope that all believers have. Imagine the beauty of Jesus’ face in our Father’s house! Simply superb work David. I must say that this is the one thing that an unbeliever can not dispute…that of personal testimony and the power of God that He has wrought in those of us who are saved by His grace and in accepting Him as Savior in faith. Another sterling work. Thank you and I thank God FOR you friend. You are right, it is hard to dispute the testimony of a changed life. The New Testament early church did not have all of God’s Word yet, but they certainly were witnessing to others because of being able to share what Jesus did for them. We have that same witness available to us today. this is a great article but i would add just one more thing. Don’t stop the testimony at Justification when you were initially saved, but talk about your growth and what you have learnt about Christ and what He has taken you through ever since the day you were declared right with God and started the walk of faith in Him. Acts 26 is the testimony of the Apostle Paul. As i read the words penned by the hand of one of the most infamous persecutors of the children of God, i found inumerable parallels bw my life and conversion. I think anybody preparing to share their testimony should prayerfully study this section of scripture. i am in awe this morning as i prepare my own testimony, and i know God put this scripture in my lap before i went any further. God Bless you all! Hi, I have for years felt God was preparing me to tell my testimony. After many years of running, Ive come to a point where, I simply want to obey Him in doing this. Its a very long road to compile in anything less then 45 minutes. I think ? I just feel there are so many times I knew God was convicting me, and I absolutely ignored. I feel that is a key point. Im also feeling exposure of what is considered in our human minds here on earth as, more then severe sins. Although sin is sin, some nonbelievers think they cant come to Christ because of the severity of thier sin. I hope this helps Paul. Thank you for your comment and visiting us. Paul, it excites me to read that you are wanting to be a witness to others by using your testimony. Coupled with the Word of God, the testimony of a changed life may be exactly what God will use to show some people their need of a Savior. As for your situation, I would recommend you focus on 2 or 3 specific sins and the way God helped you see your need for salvation. Be careful to not glorify the sin. Sometimes people make a bigger deal out of their sin than they do the fact that they were saved from that sin. Because you have so many ways that the Lord convicted you about your need for salvation, you can give your testimony to the same person multiple times showing a different aspect of the way God has worked in your life. But, again, don’t glorify the sin, especially when talking to younger people. A young person can look at your testimony and think that they could wait until they’ve “really lived” before coming to the Lord. You can’t change your past, but you can be wise in the way you present the events God brought you through to others. Because I was saved at a young age, and thankfully spared from what we would consider some of the “worst” sins (though, as you say, all sins are equally bad in God’s eyes), I sometimes feel inadequate to use my testimony to reach people in wicked lifestyles and environments. I have had some people in prisons (where I have been privileged to preach several times) tell me that I don’t understand the struggles they go through. You might be able to connect with people that I could never reach. God bless you as you prepare your testimony to share with others. May God use you in a special way to bring others to Him. And remember, you may not know how your testimony impacts others. Don’t be discouraged if people seem to “blow off” your words. If God is in it, He will do a work. It is not our job to save people. It is our job to be a witness and the Lord will do the saving. 3rd stage: New life- changed life, holy life, assurance of salvation, inner joy/peace. I too came to Christ at a young age, but for a chunk of time, i was away from the church, those who lived for Christ, and didn’t Open the bible with any consistency. I didn’t stray far, but it was far enough. The opportunity came up for attending a student bible study at the college i was attending, which helped me immensely. About half a year after joining, on an ordinary day, in a fraction of a second, the world literally changed, yet was still the same, after simply finally realizing that there is no hiding from God. He knows me like no other can, and he left us with an entire manual to get to know him. I could equate this moment to me keeping God in a waiting room in my heart, then unlocking the door within my heart, and the holy spirit smashing the entire wall around it rather than walking in through the tiny door. I am hesitant to label this as testimony, as i was technically already a Christian making her way towards a more Christ-like life. Yet the world changed so much in that moment… if i were to testify anything, it would be just how important the bible is, and fellowship with other Christians is just as important. But, it’s not strictly “A testimony” so i’m wondering if there’s a different word for it, or if this is just a different sort of testimony? I thank the Lord for what He is doing in your life. It is a blessing to grow closer to Him. It is still called a testimony. You are giving witness to something that happened in your life. Typically when we talk about a person’s ‘testimony’ we are talking about their salvation testimony. Though it is appropriate to call the telling of your story a testimony too. I have a question I do a post to my facebook page talking about my daily growth in christ and how god is guiding me daily and how I am constantly taking step to walk right in life. I of course mention how it is hard sometimes but the reward of eternal life is worth the test and lesson I go through to get there. It has been told to me that I am not suppose to tell about my person growth all the time. I do not see it that way if i have learn something through a storm why should I not tell it, cause to me it is a part of my testimony and if someone reads it and is going through something and can see that they can get through it with faith in God like I did I do not understand what is wrong. Can you give a better understanding of this issue perhaps with scripture that i can study. Leslie, I am not sure why someone would say that you should not share the way the Lord is working in your life. I understand that some people may want you to back off because they are afraid you are setting yourself up for failure. The more you publicly proclaim what is going on in your life, the harder it is to go through defeats. However, it is not you who is changing your life. It is the Lord. Trust that He knows how to take you through valleys and mountaintops. May God bless you as you share about Him. I’m hardly one to be answering a comment on someone else’s page, and I claim no authority on the subject, but i felt compelled to reply, so i am… hopefully this is relevant. You can want change with all of your heart, and you can beg god to lead you back to him, and even if/when he does , it is still extremely easy to fall back on old ways. You see, sin in general, be it thoughts or deeds, when you don’t give in to them, they leave a gap in your daily life and a hole in your heart that you fight to keep empty and sometimes it seems a hopeless battle. The word of god and prayer are the greatest weapons and shields against sin that humanity could ever ask for. Keep a few bible verses stocked and at the ready, and keep god in mind, on speed dial if you will. Whenever repetitive sin knocks, call on God to replace the sinful desire, with a holy desire… the desire for God’s boundless love. You don’t have to fall back on sin to keep those gaps and holes filled, God fills us up much more than sin ever could. And if those gaps and holes are full to the brim, with no room or want for sin, then there is no battle to be fought. Amen Leviathan8. Such a blessing you are my friend and your answer is spot on the mark of truth. Even being a pastor, I could not have said it any better. Thank you so much for such a biblically wise and godly answer. I pray you return soon to our website. Paul, as Leviathan8 just said, you can not battle sin alone. You need to get into the Word of God and the God of the Word will get into you..and you can not conquer sin by yourself but the Holy Spirit will help you. Just the fact that you are trying to overcome sin is evidence that the Holy Spirit is doing His work in convicting you of sin and that’s great news friend. Thank you for being so honest for we ALL struggle every day with sin. Let me point you to this article we wrote called “How Can I Overcome Addiction and Sin in my Life” and I pray you will read it and receive some aid from it. Please do let us know how its going and do come back again soon Paul. My classmates and I were invited to a Breakfast Prayer Event by our teacher this coming Saturday. She asked if any of us wanted to share a testimony and share what God has done in our lives, so I told her I would love to share mine but have a fear of public speaking which by the way I’m working on through Jesus Christ who continues to strengthen me. I decided today I will share my story on Saturday so I needed tips on how to go about it. I googled testimony stories and ended up on your website after researching other sites. I found everything on this page very useful so thank you. I am now an official fan of your site so I can stay up to date with any valuable & useful information. Denise, this is a great opportunity you have to share with your friends and teacher about what God is doing in your life. I understand that public speaking is often hard for people. Here are a couple of suggestions to help you with your event. First try to dress in something that is comfortable and appropriate. When you are speaking in front of others you don’t want to have to worry about whether your clothes look right or not. Wear something you know looks good and you are comfortable in. Try to avoid wearing anything for the first time. I would also say that you should tell your testimony as if you were speaking to one friend. Don’t think of the whole group, think about one or two people that you are most comfortable with who will be there. Talk to them one on one and let everyone else listen in. You can move your eyes around the room looking over everyone else’s heads and then come back to your friend. This gives the sense you are connecting but does not scare you by seeing everyone looking back at you. I know God can use your testimony to be a blessing to others. Many people have amazing stories & testimonies of how they were renewed through Christ, but few as unexpected & worthy of a movie plot, as Andy Peterson’s. What started as a calm & beautiful hike at Carpenter’s Peak in CO, soon became a showdown between Andy & a mountain lion. Only by the grace of God, did he live to retell his story of how he escaped the jaws of death, paving the way to a new life in Christ. This is how Lion King Ministries was founded. This amazing story has been shared with A&E, Larry King Live, Oprah Winfrey Show, Versus Channel, New Man Magazine, Reader’s Digest, Trinity Broadcasting Network (TBN) and Outdoor Life Network & Outdoor Life Magazine. Including numerous churches, youth groups, men’s conferences, wild game dinners, universities and many other organizations. This testimony will fully captivate and touch your heart. Filled with vivid details before, during, and after the incredible mountain lion attack. Schedule Andy today to hear the full story! Lion Attack Survivor & Inspirational Speaker http://www.lionkingministries.com Schedule one of the most captivating speakers for your next event today! This has been really helpful. I keep getting this feeling that I need to somehow tell people my testimony and that I went through alot for a reason. I was saved young, but at about 18-22 I completely strayed away. Enough to where I was constantly making excuses for my actions and talking to God and trying to bargain with him that what I was doing was okay and it wasn’t like I was killling anyone. I stopped going to church because everytime I went I would cry from the opening song to the alter call. I want to write my testimony and do something with it, give it to someone, tell someone but like I saw earlier, I’m not sure how much laundry to break out for people to see. I would tell it all, no problems. But honestly, I’m afraid of what other people may think or say if I do. Even though I know I shouldn’t care what anyone thinks. I just have this burning feeling of needing to do something and needing to help someone. Tiffany, thank you for sharing a bit about your situation. I would encourage you to write down a broad outline of what you would like to share. Then allow God to guide you in each situation. Of course a written testimony is not as easy to change with each situation, but if you are speaking with someone about what the Lord has done for you, then you could adapt it as necessary. Start with a good outline of the main points and I think you will do well in sharing what is appropriate. Tiffany, I am recently back in church and I am doing the same crying thru most of the church. I would love to here your testimony hopefully it will help me understand why I am doing this now. I am trying to work on my testimonial, I am not good at writing nor am I very good at putting things in correct order. I will be getting baptized this saturday, and I was told if I wanted to write I could. I do feel very compelled to do so, but finding it difficult just to get it started. I do find these hints to very helpful, so thank you very much…but do you by chance have any other advise for someone like me? You guys are actually awesome! i like you guys,i will tell your services to my close friends. Steven!!!! The greatest testimony one could give was given by Steven. (acts chapter 7) Saul was listening to this testimony… and holding the coats of the ‘stoners’ that day. He must have came under conviction by this word. Later after he was stricken on the on the road (Acts chapter 9) he would reply, ‘Lord what would you have me to do?’ Thus, we see Saul/Paul enter the ministry. NOTE TO MEL MOSS , I READ HOW D.L. MOODY , I THINK WAS WITNESSED TO BY THE SHOW STORE MAN , AND SUNDAY SCHOOL TEACHER , AND LOOK AT ALL THE SOULS THAT WERE SAVED AS A RESULT , AND OF COURSE LOOK AT THE LETTERS PAUL WROTE , “WOW” , I GUESS WE DON’T REALIZE WHAT REACHING JUST ONE PERSON CAN DO FOR MANY ………. Had just read Pastor Jack Wellman’s testimony on another page and all I wrote back was that I didn’t have real “testimony.” Then I wrote about a miracle that happened when I was 18. Yet, I feel such an “urge” to write more, that it could help someone to know and love God, to live by His Commands, to realize we can gain forgiveness for our sins through repentance to Jesus. Don’t truly know if it’s Jesus’ Holy Spirit or my sin of pride wanting to give a ‘testimony.’ After I pray on this, and do some more extensive reading of God’s Word, a decision I’ll make. Thank you for another great article, David! Oodles of God’s blessings for you and your family! Patricia, well, I highly doubt that it would be pride that makes you want to tell others about what God has done. This sounds like a work of the Holy Spirit. God bless you as you share what Christ has done for you in an effort to show what He can do for others. IT IS A TESTIMONY TO JUST FOR YOU TO GIVE THE WORDS I SEE ABOVE THAT YOU JUST WROTE , JUST FROM A READER , BUT IT BLESSES ME TO SEE OTHERS SHARING CHRIST LOVE IN THEMSELVES , I KNOW THAT WE CAN PRAY FOR EACH OTHER , EVEN THOUGH WE WILL NEVER MEET HERE IN THIS WORLD NOW , WE HAVE THE SAME DESTINATION TO LOOK FORWARD TO LATER ON , “WOW” , WANT IT BE GRAND !!! I WANTED TO SAY , I AM JUST A READER TO CLARIFY MY NOTE ABOVE TO THE OTHER PERSON , JUST READING THE MESSAGES IS GREAT BUT TO SEE OTHERS SHARING IN HOW THIS BLESSES THEM , I SEE IT BLESSES ME TOO , AND SHARING WITH OTHER CHRISTIANS THIS AWARENESS THAT WE ARE BELIEVERS TOGETHER , PROBABLY WILL NEVER MEET EACH OTHER IN OUR SHORT LIVES NOW , BUT WE HAVE ETERNITY TO LOOK FORWARD TO , MY TESTIMONY IS THAT I CERTAINLY GIVE GOD ALL THE GLORY , AND WANT TO THANK HIM THAT I WAS BROUGHT UP IN A CHRISTIAN HOME , WE WERE TAKEN TO SUNDAY SCHOOL EVERY SUNDAY , EVEN ON VACATION WE WOULD ATTEND A NEAR-BY CHURCH , MY MOTHER JUST TURNED 83 YEARS OLD , MY DAD WAS SO WONDERFUL TO ME , I HAD A NEW FRIEND TO ASK ME ONE TIME WAS MY DAD FAMOUS OR SOMETHING , BECAUSE I SPOKE OF HIM SO MUCH , SEE MY DAD DIED WHEN I WAS JUST 24 YEARS OLD , I TOLD THE FRIEND , HE WASN’T FAMOUS TO THIS WORLD BUT HE WAS OH SO FAMOUS TO ME , BECAUSE I LOVED HIM , OUR LORD AND SAVIOR JESUS CHRIST IS SURELY FAMOUS TO ALL WE CHRISTIANS , I FEEL I SHOULD GIVE HIM THANKS AND GRATITUDE ALL THE TIME FOR WITHOUT HIM I WOULD BE NOTHING , MY WORKS ARE AS FILTHY RAGS , BUT WITH HIM AS MY SAVIOR I HAVE THE REASSURANCE OF ETERNAL LIFE , I AM NOT MUCH OF A WRITER YOU SEE BY READING THIS , WITH ALL MY ERRORS , BUT I WANT TO SAY I SURELY DO HAVE ALL THE REASON TO PRAISE GOD FOR HIS ONLY BEGOTTEN SON , AND I JUST CAN’T SAY ENOUGH OF HOW MUCH IT MEANS TO KNOW WE CAN HAVE LIFE EVERLASTING WITH NO PAIN , NO WORRIES , NOTHING TO BOTHER US EVER , AND I KNOW I NEED TO SHARE THIS WITH AS MANY OTHERS AS I POSSIBLY CAN TO SHOW THE SAME LOVE JESUS SHOWS TO US , THANKS FOR THIS MEANS OF SHARING CHRIST WITH OTHERS !!!!!!!!!!!!!!!!!!!!! Well, I finally wrote my ‘testimony’ on Pastor Jack Wellman’s site, “How I Was Set Free in Prison.” So you can read it there, if you want. Thank you ever soooo much, David, for this article above. It truly helped me a lot! Oodles of God’s blessings upon you, David, and your family! Great! I look forward to reading it. I seen there was a new comment from one who is crying through Church , just wanted to let the person know I will be one who is praying for them and I know from past experiences reading this site that many join in prayer for others , this is truly a wonderful site , maybe the best i know of , Things Christians Want to Know — may just be where is there a site I can visit that helps me and the answer is this one , thanks , wanted to add hope all those who write and those who read , and those who need to read have a Merry Christmas !!!!!!!!!!!!!!! Hello Mr. Titus. I don’t believe that the author may get this so let me say as a pastor that it is actually good to be a little scared when you speak in front of others but pray that you do say things that will glorify God and that you cannot do this on your own power and God will hear and answer that prayer and honor your request to be more calm when it is done in His power and for His glory. Pray that and I am sure you’ll be fine. The day that you are not afraid is the day that pride may cause you to stumble. Make sense sir? I would write it down…rehearse it and speak from the heart. God bless you in your speaking for His glory. I really enjoyed this article, as well as the comments. I have been asked to give my testimony this weekend at my church’s mens retreat. I grew up in the church, the son of a preacher. The son of a Salvation Army officer. I was saved at a young age, or I believe I was. Then in my teenage years I ran away from home, ran away from the church, and ran far away from God. At least, that’s what I tried to do. I hated God, and even tried my hardest not to believe in him. No matter how hard I tried though, he was always there. I was always convicted of my sins. And then I would ignore that conviction the best way I knew how. For years I escaped by the use of drugs. I had a child at a young age, and got married young. I spent my 20s and most of my 30s (I am 39 now) trying to be self sufficient. It was MY responsibility to make my marriage work (I failed), to be a man my daughter could look up to (I probably failed here more often than I succeeded), to find success in my career, to love my neighbor as they loved me. Only what I found was that even when it looked like I was successful, that success had a shelf life. The philosophy that I tried to live my life by was impossible to sustain. I fed my brain with knowledge, trying to be an intellectual. I fed my body food for nourishment and sustenance. I fed my mind and I fed my body, but I starved my spirit. I tried and I tried and I tried to be a good, kind, intelligent person. And when times got tough, I got high or I got drunk. And I’d start again the next day. But I constantly felt as though I was missing something. Over the last few years, my daughter (18 years old now) began to find her path with Jesus. She had been going to church with her mom and then around a year and a half ago she changed churches. She did this on her own. She found another church here in our small town who has an amazing youth fellowship. So she advised her mother and I that she wanted to start attending this other church. Of course we allowed her to do so. And because she was not yet driving, it was my responsibility to drive her to and from church. But she didn’t just start attending on Sundays. She got very active in her church, the scripture, and her walk with Christ. She would be in bed at night reading her bible until I could finally coax her into turning out her light and going to bed. She was going to bible studies every week. She was going out with friends or bringing them home who were examples of Christ. I was witnessing teenagers living their lives as an example of Christ! This was very different than my life as a teen. And it was refreshing. I was so happy for my daughter. And I know now that God was working on me. He was pursuing me. My daughter and her friends (unbeknownst to me at the time) were praying for me on a very regular basis. Last summer, God pursued me and because He knows how stubborn I can be, He came at me hard. Or maybe he has always been coming at me hard, but I finally began to come around. It has now been 6 months since I knelt and prayed to God and asked him to forgive my sins. I felt him lift the weight of those sins off my mind and my heart. I began going to my daughter’s church, I go to two small groups a week, and I enjoy volunteering at the church for our town’s youth. But then there are days or nights when I don’t feel as close to God. There are times when I fall back on me and the way I lived my life before I had Jesus in my heart and at the forefront of my thoughts. And on those days I divert back to my old ways. Sometimes it means drugs and alcohol. Sometimes it means relying on myself and finding my own strength instead of asking for and living on God’s strength. This is the battle I fight on a regular basis. And here is my point: How – when I struggle on so many days to live my life as an example of Christ – can I possibly stand before a group of men in my church to give my testimony? I don’t want to be a hypocrite. This is my struggle. I pray to God about my sins and about my struggles but I am apprehensive to be a witness to unbelievers, or anyone else for that matter. SEBBE , I CERTAINLY ENJOYED READING WHAT YOU WROTE , I THINK ABOUT HOW MANY MUST HAVE FELT IN THE BIBLE , LIKE FOR EXAMPLE PAUL , HE WAS SO AGAINST CHRISTIANS , AND JESUS CHANGED HIS WHOLE LIFE , I FEEL LIKE PETER I THINK SOMETIMES OPENING MY MOUT WHEN I SHOULDN’T , IN READING THE BIBLE I HAVE SAW SO MANY WHO SINNED , EVEN THOSE WHO WERE SO BELSSED , EVEN KINGS , I THINK ABOUT FOR ALL HAVE SINNED AND FALLEN SHORT , IT IS ONLY THROUGH JESUS THAT WE ARE SAVED AND NO OTHER WAY , YOUR TESTIMONY IS LIKE SO MANY , THE GOOD THING IS YOU ARE UNDER CONVICTION ABOUT IT , I AM SO VERY HAPPY TO SEE WHAT A WITNESS YOUR DAUGHTER AND HER FRIENDS ARE , I PRAY AND I FEEL GOOD SOMETIME AND I FEEL BAD SOMETIME , THE THING THAT MAKES ME FEEL GOOD IS GOD’S LOVE , WITH AGE WE SEEM TO GET WISER AND SEE THAT LIVING FOR CHRIST IS THE WISE THING TO DO , I HEARD A PREACHE SAY JUST TONIGHT ON THE WAY TO WORK TO DO WHAT YOU CAN NOW FOR THE LORD BECAUSE WHEN YOU DIE THAT ALL ENDS THEN , THOSE WORDS POUNDED ME IN THE HEART , I KNOW THAT GOD WAS SPEAKING TO ME WHEN THIS WAS SAID , I NOW COUNT YOU AS A FRIEND , A FRIEND I DIDN’T KNOW , I WILL BE PRAYING FOR YOU AND ASK THAT YOU WILL RETURN PRAYERS FOR ME , PRAYER IS GREAT , LOOK WHAT YOUR DAUGHTER AND HER FRIENDS PRAYERS HAVE DONE — TO GOD BE THE GLORY !!!!! Hello, David! This is for Sebbe (January 27, 2014.) OK? SHARE YOUR TESTIMONY, BROTHER!! In fact, make notes from what you wrote yesterday here on this site, which was indeed a TESTIMONY! Powerful and encouraging, Sebbe! Every word you wrote, Sebbe, I could totally relate to. None of us is perfect; even after we accept Sweet Jesus as our Savior, we are all sinners, needing to turn to Him and repent of our daily sins. ALL of us believers understand this, Sebbe. You have to keep reminding yourself that Jesus HAS FORGIVEN you, He will never leave your side nor forsake you. God’s wonderful blessings and graces be showered upon you, Sebbe, and your family!! I’ve read and watched in the news lately how Christianity in America is now a minority. The only way we can regain (and I say that for lack of better words) is to provide our testimony and our walk with our Lord Jesus. I’ve recently gone on to news postings with articles about some terrible crime and prayed for both the victim and the accused. I have found it a great place to talk to others about what Jesus Christ can do for them in their life. So many are angry in those posts. I’ve just added this article to my facebook page to help my fellow Christian friends so we can “get the ball rolling”. Thank you for the article. I AM 21 YEARS OLD, A FRESHER.TO BE HONEST I NEVER REALLY WORKED HARD FOR ANY EXAMS. ALWAYS READING COMICS OR WATCHING ANIMATED VIDEOS.WHEN I AM IN FIRST YEAR, I HAD LITTLE FAITH IN GOD AND LITTLE TRUE TO GOD.I GOT ALL CLEAR IN THAT SEMESTER.THEN MY LIFE TURNED WORSE, FROM 2ND SEMESTER I BEGIN TO GET ARREARS.STILL BECAUSE OF GOD’S GRACE,I CLEARED IN THE REVALUATION BUT THERE’S NO CHANGE IN MY WAY OF LIVING.THEN FROM 5TH SEMESTER EVEN IN REVALUATION I COULDN’T CLEAR THE PAPERS.IN MY 8TH SEMESTER,I PRAYED TO GET ALL CLEAR IN MY EXAM.BECAUSE OF HIS GRACE UPON ME,I WAS ABLE TO GRADUATE WITHOUT BACKLOGS. GOD PROTECTED ME FROM OTHER’S INSULTING WORDS. I STILL HAVE SOME BAD HABITS THAT I AM ADDICTED TO IT.PLEASE PRAY FOR ME TO GET OUT OF THESE ADDICTIONS. This article was help to identify the testimony.in this site very good and esay to undearstand here.Take time to talk with the lord about writing out or speaking your testimony. I feel God has been calling me to “feed His sheep”, “tend His lambs”. I have asked if He means physical food and he says “the Word”. I am thinking he is calling me to share my life story during which I have been brought into an intimate relationship and walk with Him. Basically my story is that I did not grow up in a Christian home, but rather an abusive, alcoholic family. I went to college and became a nurse. During the Vietnam War, I married an Air Force Flight Surgeon. We spent nine months in Thailand. Upon returning to the USA, we became pregnant with our first child. The baby was born in a small town in Oklahoma. Because of poor medical management, he suffered severe brain damage with severe residual mental and physical disabilities. This child was named Steven. As his parents we were lost and broken as to what to do for him. I did ask God for help but I was angry and not obedient. We had another child who was healthy, got divorced, placed Steve in a special school over about five years time. This resulted in a post traumatic stress situation for me. I suffered from depression and anxiety even as I worked as an RN, I did not turn to God to help me. I remained obstinate. On May 24, 1989, Steven died in his sleep at the age of 17 years old. I broke wide open. Over the next years, I found myself searching for God and Jesus. I had an experience at home where I was completely lost and despondent. I cried out to Jesus and he came to me, forgiving me for turning away from him for so long. My daughter and I begin to go to a local United Methodist church. My relationship with Jesus grew even as my grief over Steve’s death was ravaging me. I have been in psychotherapy three different times over the 26 years since Steve’s death and I have reached a point of acceptance that Steve’s death is part of my journey. I feel God wants me to share this as I now have a close, loving relationship with Jesus, do daily Bible study and stay in prayer constantly with my Lord and Savior. What do you think God is calling me to do? Thank you Judy. God may be calling you into the women’s ministry or a women’s Bible study group, perhaps in the church or at your home. I would speak with your pastor about this right away. Indeed, God may be calling you for this purpose as our own church has a ladies Bible study group with a wonderfully gifted woman teacher. My reason for visiting the site after a google search was to see what is out there in relation to preparing testimony other than salvation testimony. The idea behind it is for effective sharing of how God is working in one’s current life and living. In other words live and living connections for NOW not some distant past. Hope that explains it. I’d like a link if you do have ideas presented on this sent to me please. Thank you for this article. We have a testimony meeting at my church where we can each share our testimony, and this will help me to get my thoughts in order. I especially like your tip to be honest. Everyone’s story is important, no matter how extreme it is. There is always someone we can help with honest and loving expression of testimony. Thanks again! WOW! GOD IS GREAT! Recently GOD has lead me to start a website where people can upload their testimonies onto a website where the goal is to share the Amazing Goodness and Love of GOD. These steps as outlines above are such a great guidline for sharing an encouraging word. If anyone who comes across this would like to post their testimony please feel free to go to answeredprayers.co.za. We believe GOD has a greater purpose for each of us and id like to encourage you to keep sharing the Love of GOD! Judy, I have been through a lot of pain in my life. It may not be exactly the type of pain that you have suffered and gone through, but it is still my own. However, I know that I made it through life, because there is a God who loves me and wants to pull me through all of this. Not only that, but he has placed people in my life and has helped me to build up my Christian testimony. One way he has done that is that he has put people in my life who have need me to tell my story to them so that he can help them through that. I don’t know what God has specifically called you to do, but I believe that he has called each of us to be his witnesses and to tell the story of how God has brought us through this journey we call life. Share your hardships with others. They will see your strength, the strength that you have through God, and be helped. Although I have been blessed to share my testimony many times since emerging from prisons, I am always hungry for wisdom and better ways to witness, and share- and impact other lives for the KINGDOM. . .So thank you kindly and GOD BLESS for this nice article it has inspired me with a different perspective. my son was saved in prison and wants to minister to the lost when he gets released in April 2017. Please if anyone reads this and wants to write a letter of spiritual encouragement . He was lost and now he is saved..
god said I will pour Dreams in your sons & men of my return, these dreams are like no other, I am conscious, & know exactly everything that’s going on around me, & what time it is and how the air smells as if I am awake. When I was a kid the age of 6 or 7 my mom had pictures of Jesus Christ on her wall, when my brothers would bully me or make me mad/cry they would tell me Jesus was looking at me for cursing at them so I began to curse jesus also because I dint know who he was, little over a month Christmas came around, that night I had a dream of Lucifer coming in to my dream he was young, & well dressed like Fonzie from happy days, but cleaner then ever, he began to ask me if I wanted to go with him, I dint understand at that time, he said he would give me everything I wanted, & whatever I could think of I could have it instantly, just when I began to back away he reached over & pulled out a toy that I always wanted when I was a kid I was so happy I wanted it in my hands but there was a problem he never turned his whole body around to see me he would just turn his head to look at me, like if something or someone was holding him back, so when he felt that I dint want nothing to do with him he came closer and said take it wich was the toy I loved, so I reached and grab the toy and woke up with my arms up in the air at 3 or 4 AM.., when I sat down to think what was all that about, I turned around and Jesus Christ pictures where behind me where I would sleep on the floor the same picture frames I would curse at, I dint think anything of it till I got older, Jesus Christ never let go of me, even when I dint understand. He walks with me,& holds my heart now, I gave my life to him. Since the age of 7 Jesus Christ lives in me. And has protected me from dangers when I was in gangs he warn me to leave at times when things where about to get crazy. I love you Jesus Christ. I dream of his return all the time & I have painted & drawn his return. This is really helpful. I’m trying to simplify my story — I want to shout it from the rooftops, but I know that it will be more impactful if I condense. Thank you so much. I am sharing my testimony tonight. I am not a public speaker. I am total introvert and suffer with anxiety. This is so difficult for me. But what I can do is write poetry and so i prayed hard and I asked Jesus for words to help me and then I wrote my testimony as a poem. Is this appropriate? It will keep me on track and I will not get lost in the recesses of my thoughts and Satan will not be able to shake me as I have something to read and I believe Jesus was with me as I wrote and edited it. I have had some serious trauma and awful things in my life including suicide attempts and awful awful self harm and I am scared that if I do not read something prepared I may panic and crumble. Jesus will strengthen me make me brave. I am worried I have written too much- it reads 4 mins 7 seconds. I am reading tonight in a small group to practise for my testimonial before baptism on Easter Sunday. I feel so sick. Praise the Lord my friend. How awesome that God has worked in you to glorify Jesus as you gave Him credit for your writing and this is biblical (1 Cor 4:7). I am writing my testimony, and I really needed some help, thank you for this video it really helped me and helped me to understand how to present my testimony to my college. Being transparent can be difficult, I am figuring that out, but it can also be cleansing. Writing my testimony is allowing me to see where God has brought me from; and where I am going in Him. It is allowing me to forgive myself. My name is Rita. I have been saved for almost a year now. It wasn’t until I felt the deepest pain I ever felt before did I decide to give my life back to God. You see I tryed everything and everyone to stop what I was feeling. I even thought about suicide. I did things that I would of never done if it wasn’t for this heartache. Some family turned there back on me. Also some friends were not there when I needed them the most. It wasn’t until I dropped down to my knees and asked God to help me. I confessed my sins to God. We had a relationship this day. I asked him to help me with the pain of losing my 25 year old son. God gave me what no one else could. God gave me peace. I am grateful to be a child God and in him is where I put my trust. God bless you all. Previous post: Does God Still Work Miracles Today?